Study Speaking is for intermediate level and above students who need to speak English in connection with their academic work. 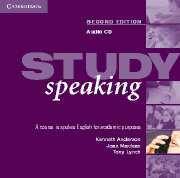 It is intended primarily for use on language programmes preparing learners of English for study at university or college. * sharpening their strategic competence in face-to-face interaction. Study Speaking is part of a the Study Skills series. 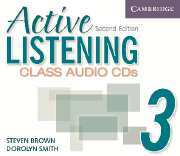 Active Listening, Second Edition, is grounded in the theory that learners are more successful listeners when they activate their prior knowledge of a topic.